Your three photographers are back! John Rehor, Don Wood and Herb Harwood reprise the 1957 adventure you enjoyed in Speed Graphics and Steam 1957! But the men with the cameras go altogether CRAZY in July 1958, shooting everything that moves with a smokestack on one end and a firebox on the other! That’s right! Volumes 1 and 2 of Speed Graphics and Steam 1958! Both will be 192 page hardcovers. The first will ship in May 2019. 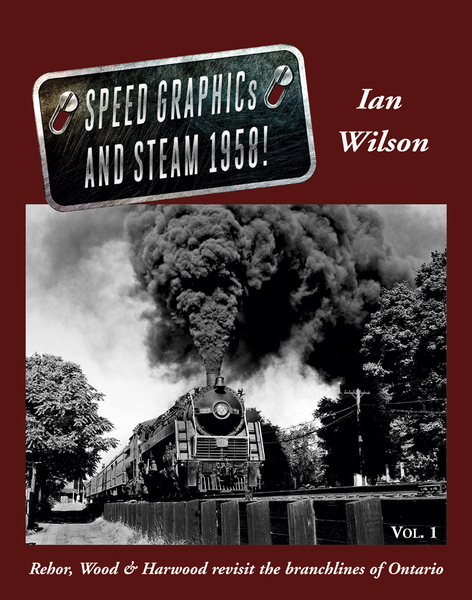 ... and GUARANTEE you will receive a copy of Speed Graphics and Steam 1958! vol. 1 by pre-ordering before the April 30, 2019 deadline expires. We will announce some FREE bonus goodies for those who pre-order!